I have been writing Kind of Pink and Purple every week for 2 years. I am grateful for the many amazing opportunities that have come because of my writing: I have been a journalist for the Montreal Jazz Festival, the Newport Jazz Festival and the Detroit Jazz Festival. I have been able to interview musicians, as well as review concerts and CDs. I have worked at a jazz PR firm and at JazzBoston, and I have joined organizations such as the Jazz Journalists Association. Most importantly, I have been able to reflect on what I know as a young adult and share this with others. In this way, the great joy of learning is sharing. My first post was Reasons Why I Love Jazz. For this 2 year anniversary I wanted to share a few videos, and quotes from those videos, to illustrate how jazz can be a force of guidance. Building off of the reason I started this platform, I want jazz to be an open community for everyone regardless of background knowledge or musical skill. By comparing jazz to life skills, stories, emotions, etc. anyone can use music as a source of inspiration. Michael Jordan inspires more people than just basketball players just as Albert Einstein inspires more than just scientists. In this light, I know John Coltrane and Sonny Rollins can inspire anyone as well. 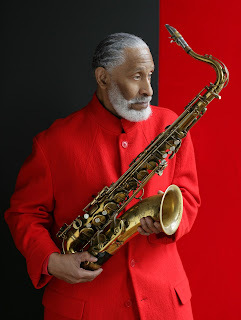 Saxophonist Sonny Rollins is a living legend of jazz. Never satisfied with his personal or musical limitations, Rollins, who was already a successful jazz artist, famously took a sabbatical from 1959-1961, and practiced under the Williamsburg bridge. Rollins' comeback album from this era was entitled The Bridge. Later on, Rollins took a second sabbatical from public performance to study Eastern philosophies and meditation. With all these obstacles and all the difficult things we go through in life, music is there to help. Jazz transcends life and death as we know it on this planet. You see, jazz is something which is more universal, eternal, so it has - you say optimistic about jazz - well, I'm optimistic that, I'm optimistic about, the soul, okay, I'm optimistic about that, so therefore I'm optimistic about jazz. It's a sense of hope, that life can be better, that things can be better, it's a sense of happiness, where things, wow this is great, that's some of what jazz is. Pianist Mulgrew Miller recently passed away in 2013 at the young age of 57 from a stroke. Miller left a profound legacy, and played with the Duke Ellington Orchestra, Betty Carter, Woody Shaw, Art Blakey and Tony Williams while also leading his own groups. In addition to performing, Miller left an impact on education as the director of Jazz Studies at William Paterson University. Playing this music allows us an experience that I think many other people don't get in other areas of functioning in life, and that is playing this music sort of compels us to be in the moment, and we're not always there for most of us. But when we do...it's where we realize we weren't even there - it wasn't really about us. Alto saxophonist Charlie Parker revolutionized jazz with the help of trumpeter Dizzy Gillespie, creating a style called bebop. Charlie Parker is known for his bright, crisp tone and lightning fast technique. In the following interview, Parker claimed he attained this technique from practicing 11-15 hours a day for an extended period - showcasing the power of hard work, study and determination. Study is absolutely necessary, in all forms. It's just like any talent that's born with somebody, it's like a good pair of shoes when you put a shine on it, you know? In the following compilation video, trumpeter Wallace Roney talks about playing music in the face of all the obstacles that came in his way. Despite his great talent, Roney was left homeless for part of the 80s . While playing in a tribute to Miles Davis, Roney was able to meet Miles. Miles gave Roney his trumpet after realizing Roney didn't own a trumpet, and later mentored him. This mentorship gave Roney the support he needed to become a successful musician, and he later joined the bands of Art Blakey and Tony Williams. I had to play this music when people didn't want me to play this music. I played this music and tried to contribute to this music playing clubs where the clubs almost made me pay them to play, you know, and I, but I felt this strong for this music and I fought for this music and I'm fighting - it's not because I need to make money, because I haven't made a dime - but it's because of the love of this art form and this gift, that god-given gift of playing music, I feel I need to honor that, you know. 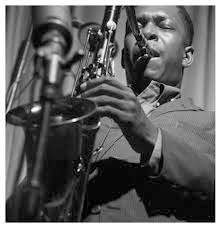 Saxophonist John Coltrane was at the forefront of the free jazz movement along with his wife, pianist Alice Coltrane, and saxophonist Pharaoh Sanders. Coltrane was a deeply spiritual man that believed in music for a higher power. This mentality was showcased in albums such as A Love Supreme and Ascension. I want to be a force for good. I want to be a force for real good. Otherwise I know that there are bad forces, I know that there are forces that bring suffer to others and misery, but I want to be the opposite of this, I want to be the force that is truly for good. Thank you to anyone and everyone that reads my writing! With all the ups and downs in life, I am happy to help someone find a light in their day. After two years of simultaneously writing and learning about jazz, I can truly say the reason why I love jazz is because jazz is life: all-encompassing, raw and beautiful.